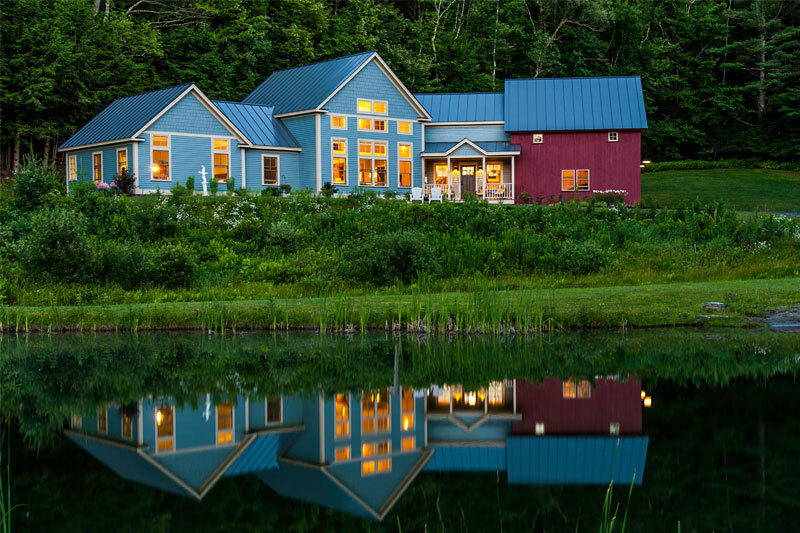 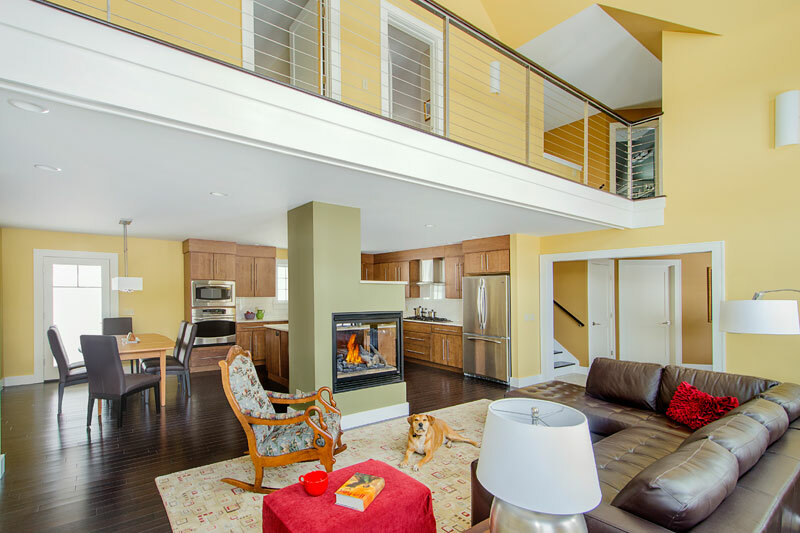 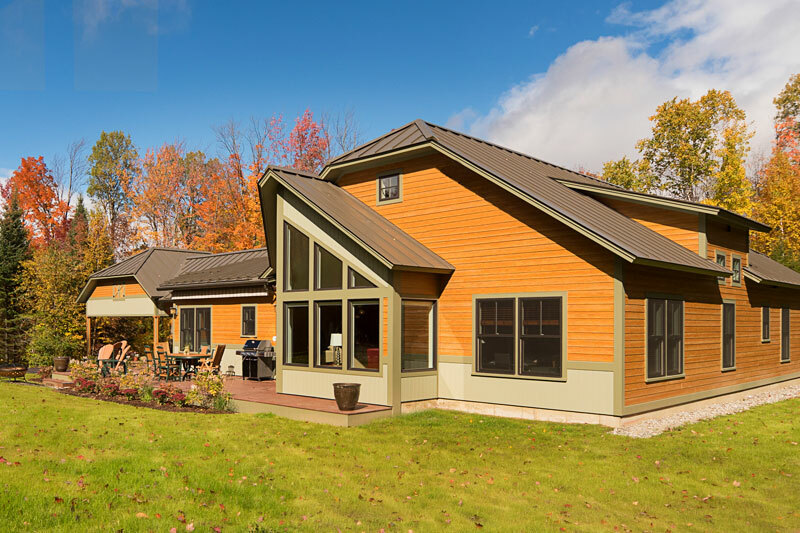 We custom designed this two story wood frame structure with attached garage to include two home offices, radiant heat throughout, two bedrooms and a master suite overlooking the pond. 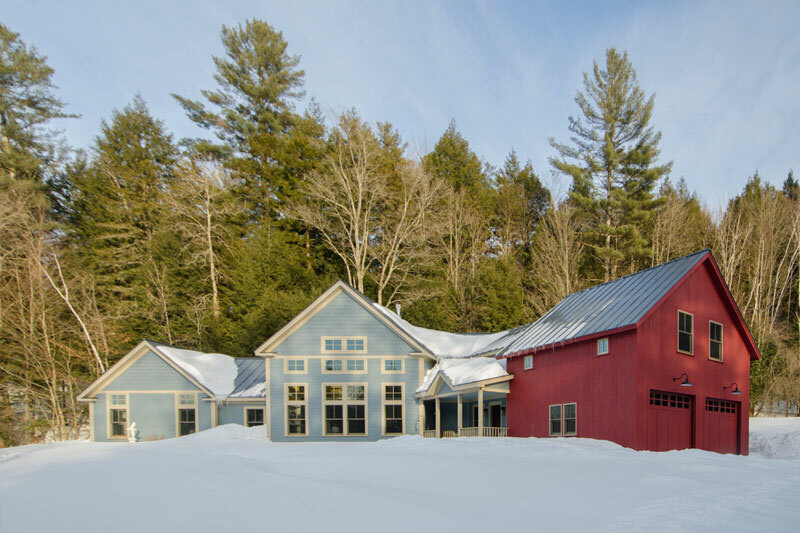 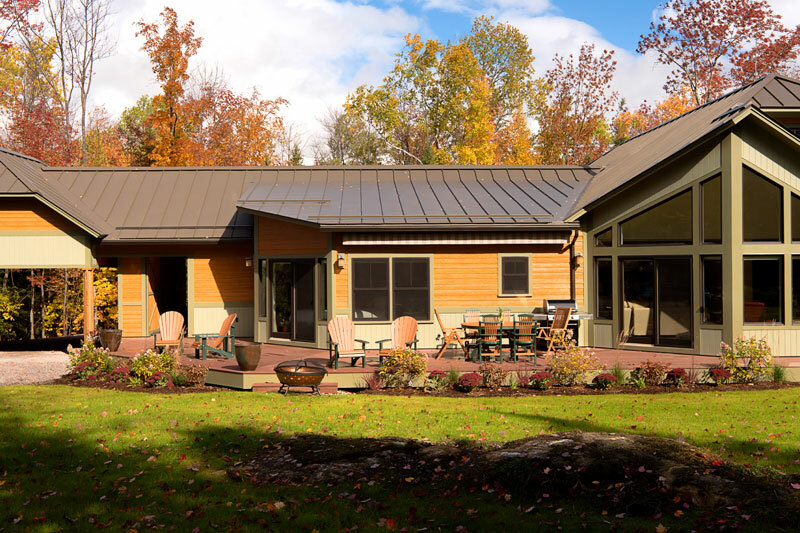 The exterior envelope incorporates clapboard siding and a standing seem metal roof. 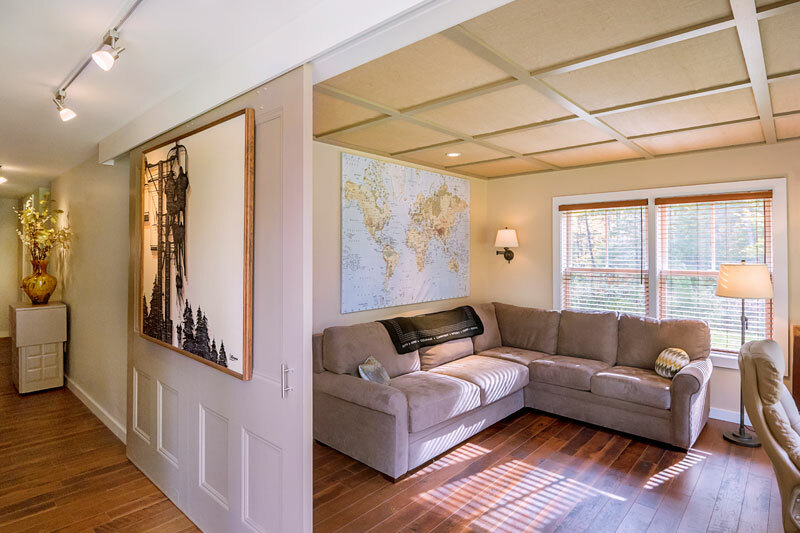 This private one story wood frame structure with port cochere has a home office and craft room as well as accessible features. 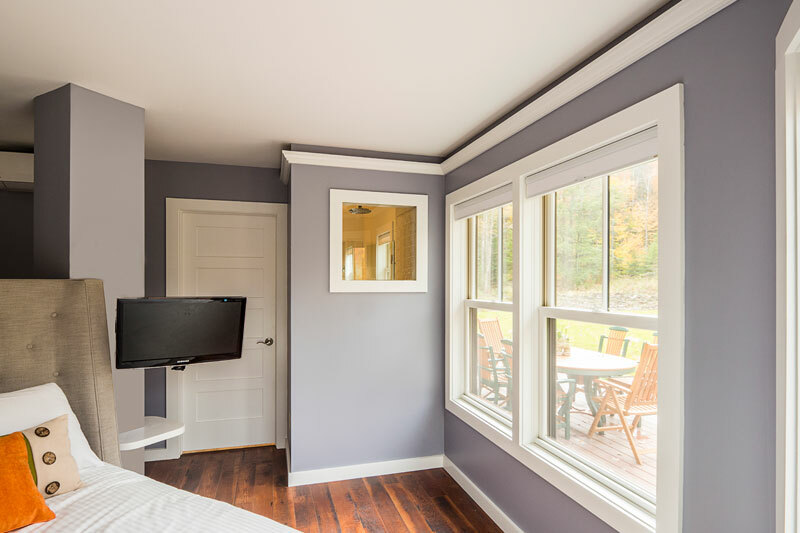 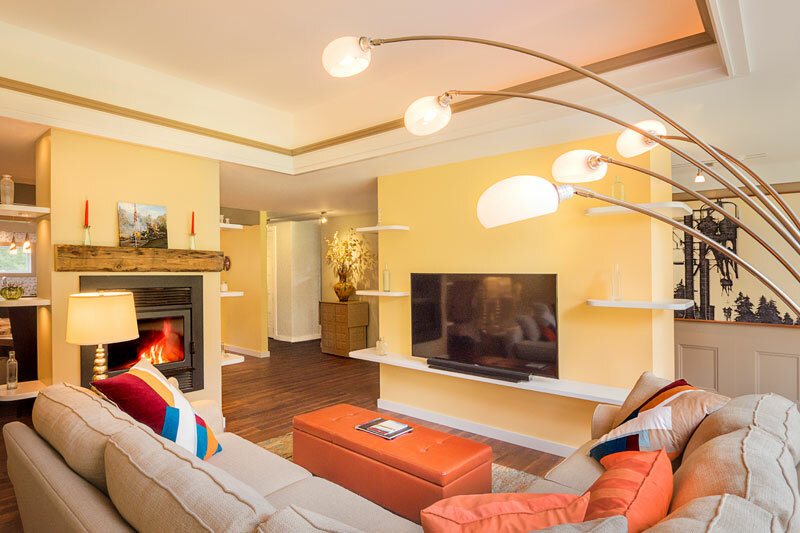 The building includes two bedrooms with a master suite, custom kitchen and a window wall including sundeck to capture mountain and foliage views. 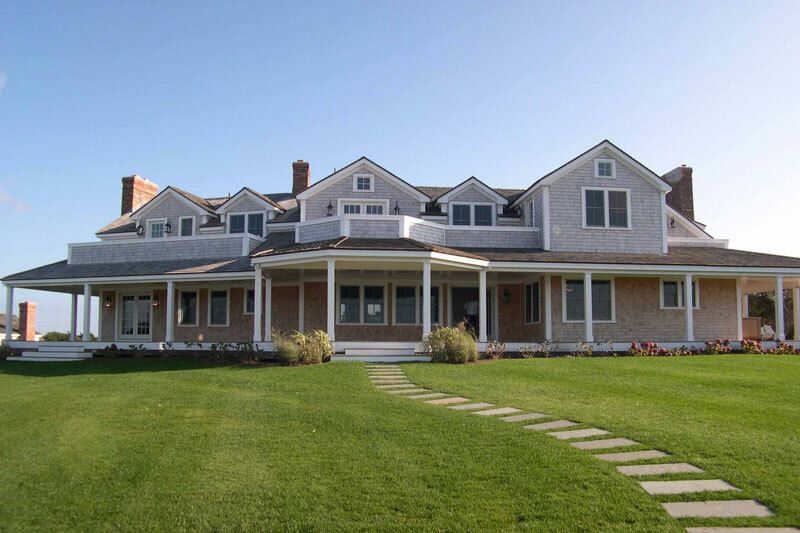 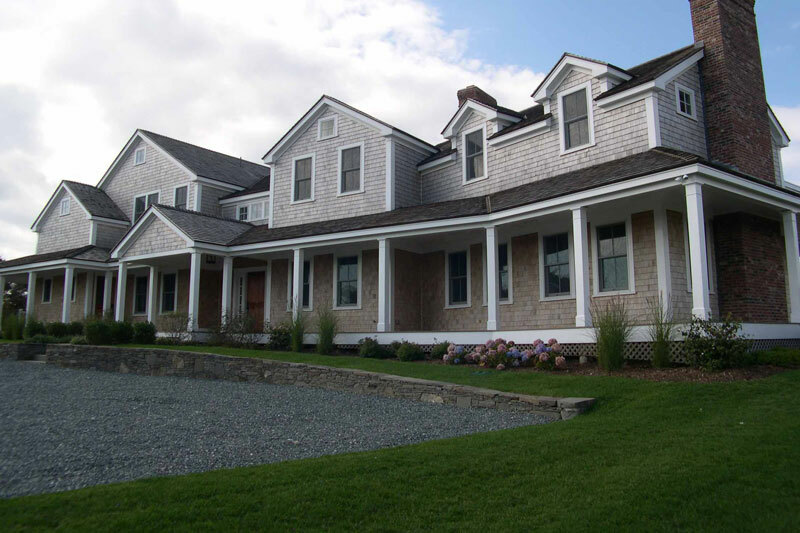 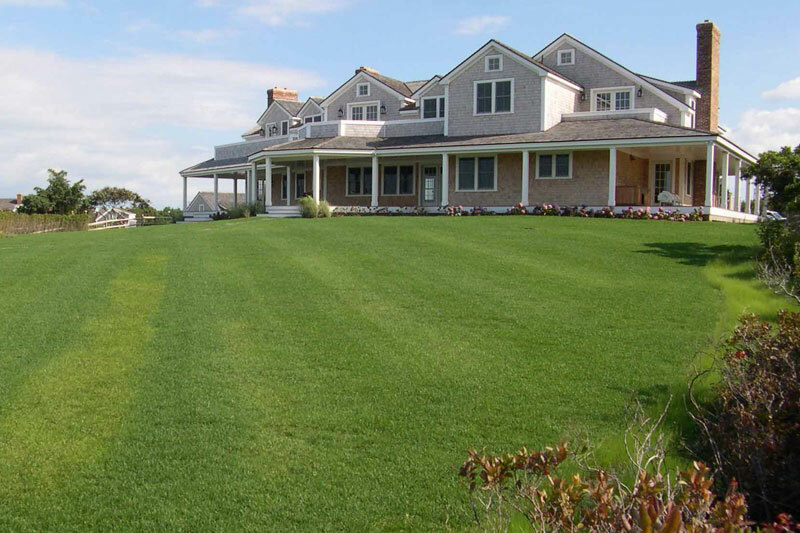 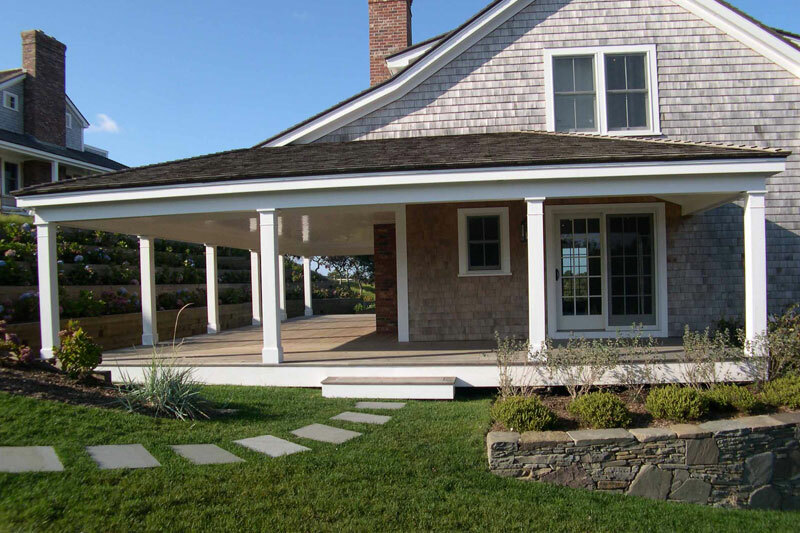 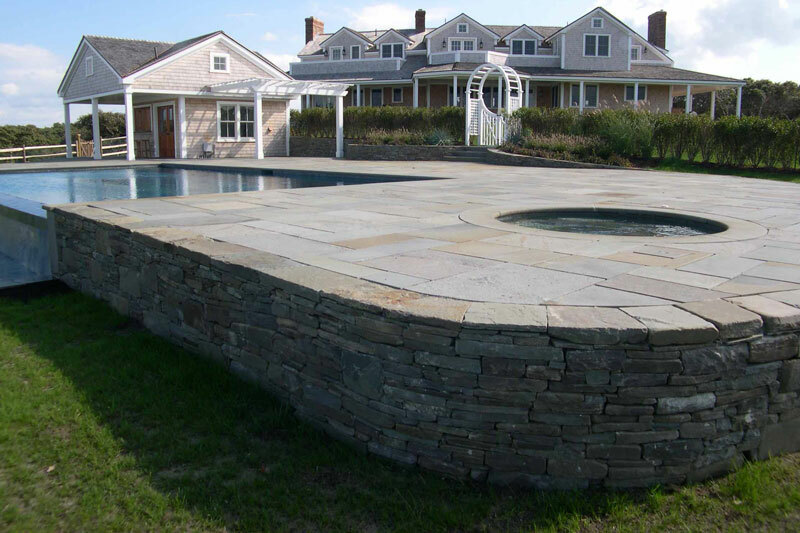 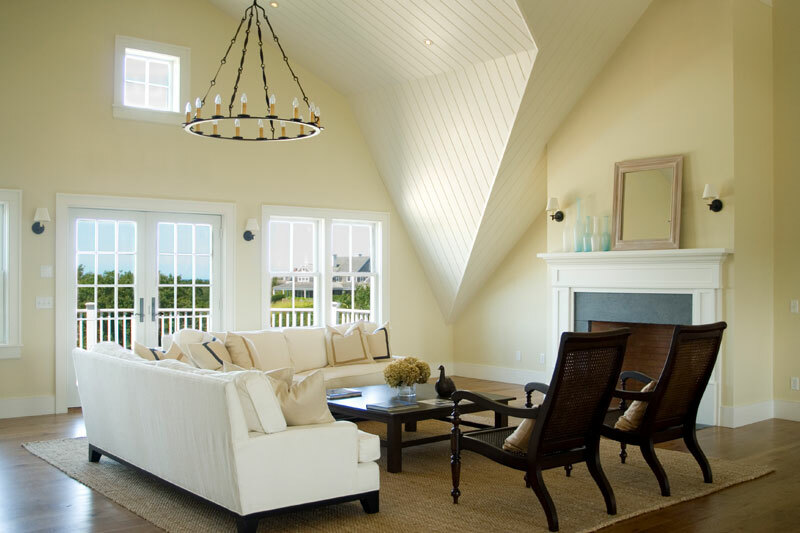 This two story wood frame structure has white cedar shingle siding with gambrel roof. 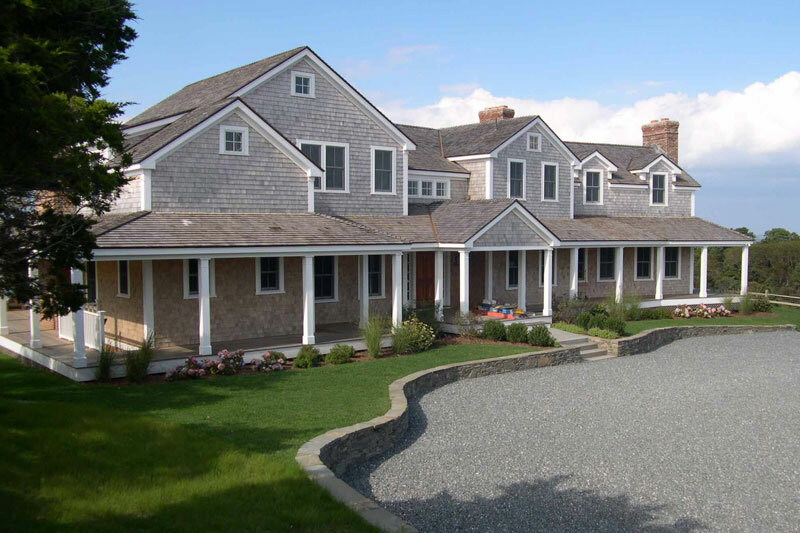 This private residence takes advantage of views by incorporating the living spaces and master suite on the second floor while keeping the more private bedroom spaces on the fist floor. 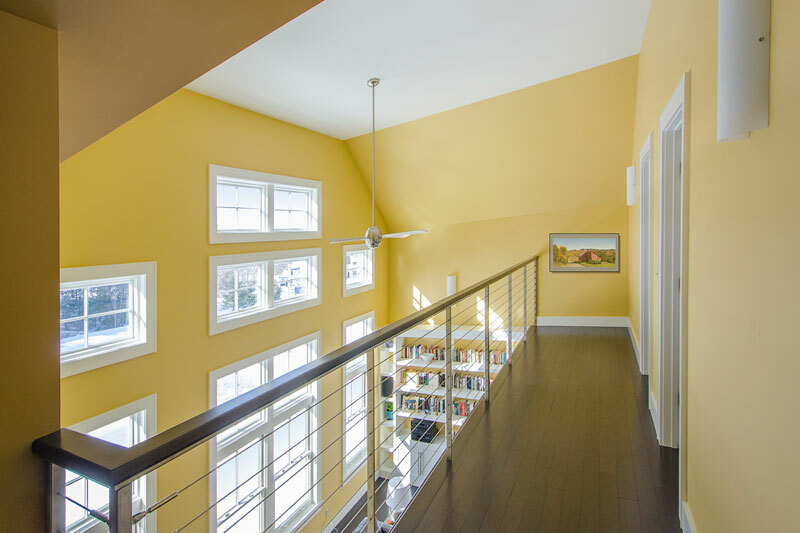 The program includes a lower level game room and theater, three first floor bedrooms and a study. 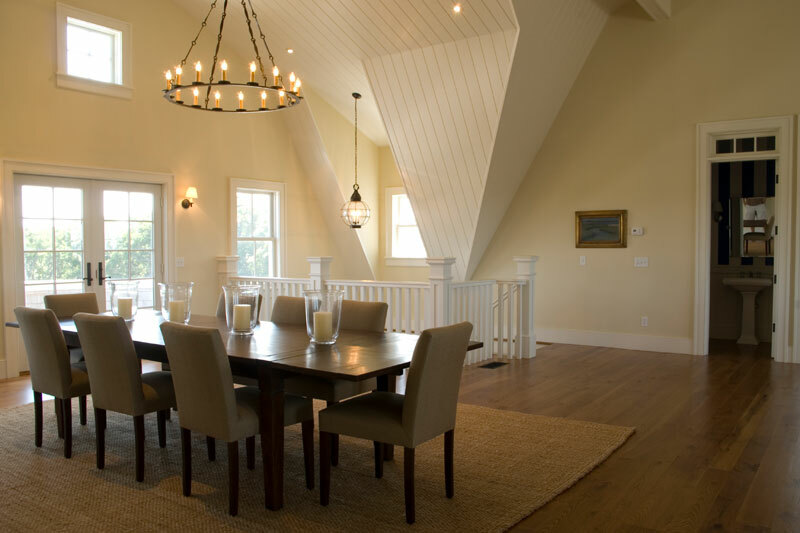 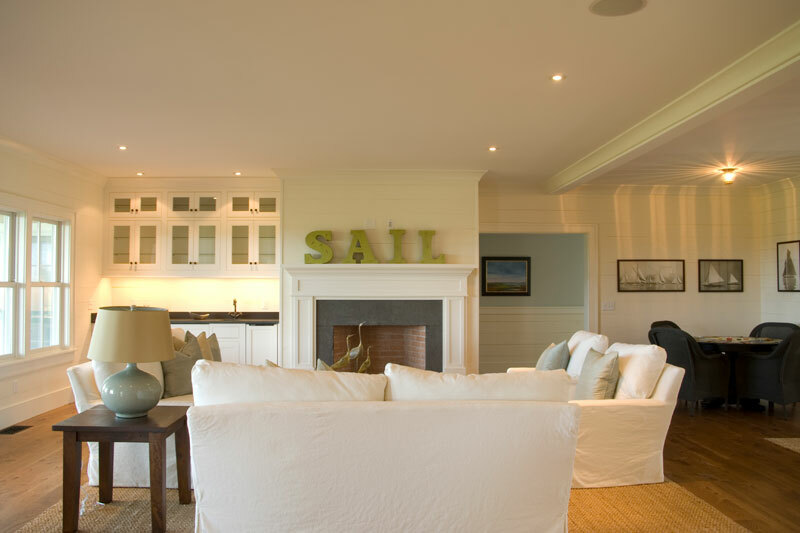 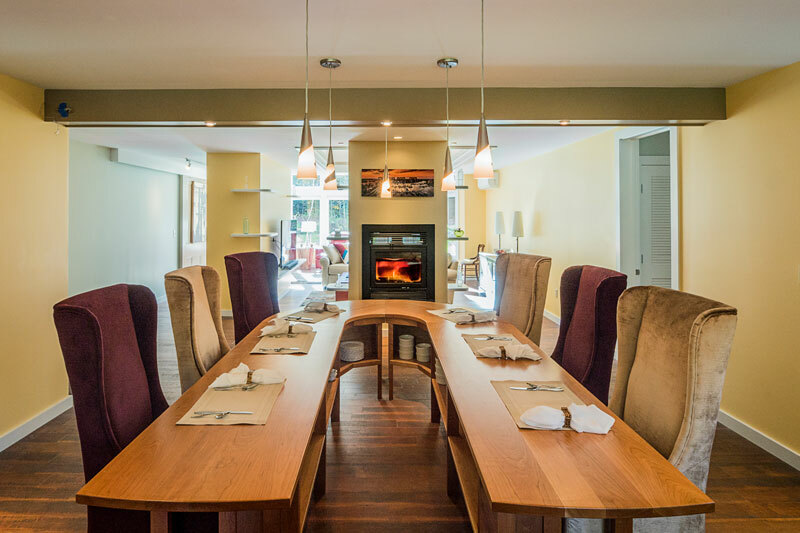 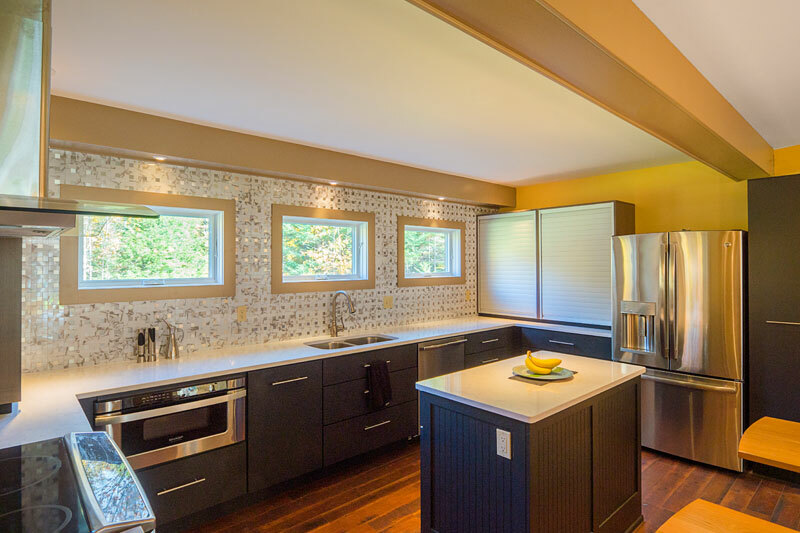 The second floor includes a custom kitchen, dining/entertaining room, and the master bedroom suite. 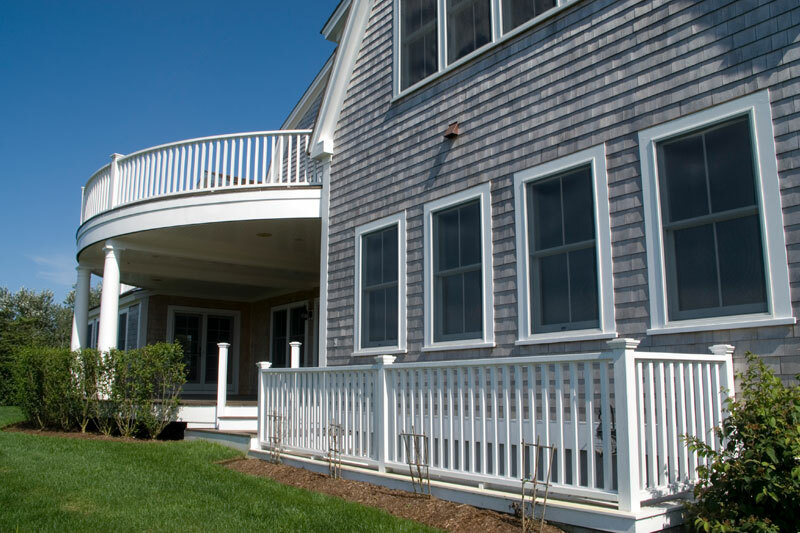 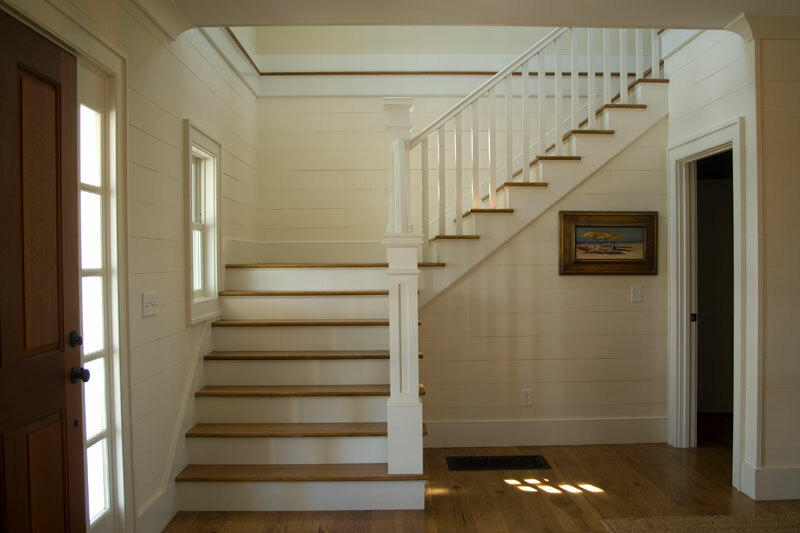 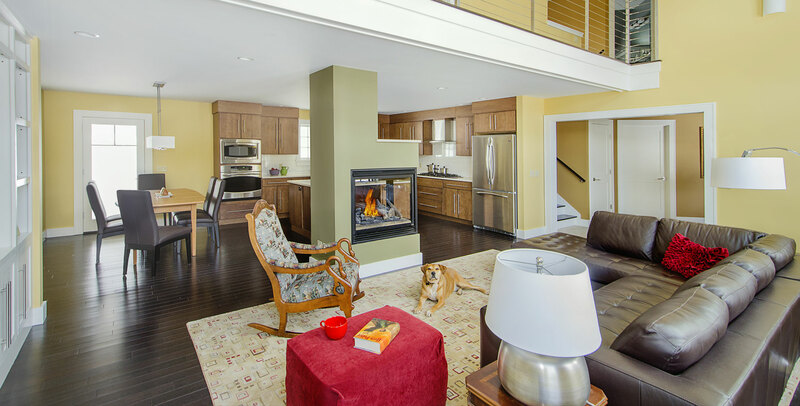 Along with white cedar shingle siding and gable roofs, this private, two story, wood frame home also includes a beautiful wrap around porch, sunken dining room, custom kitchen and a guest house. 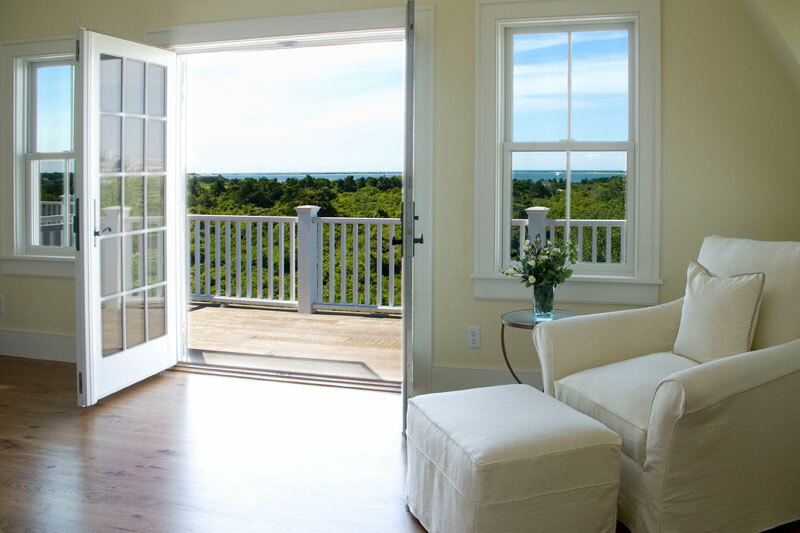 The second floor includes four bedrooms and a walk out balcony for taking in the view.